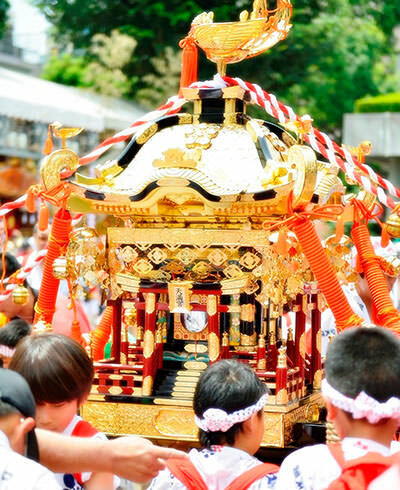 Originally, a matsuri was a religious ceremony of Shinto (Japanese original religion) to seriously pray for people's happiness such as health and good harvest. As time passed, many Japanese have lost their devotion but they still love to enjoy an annual local matsuri regardless of religious motive. 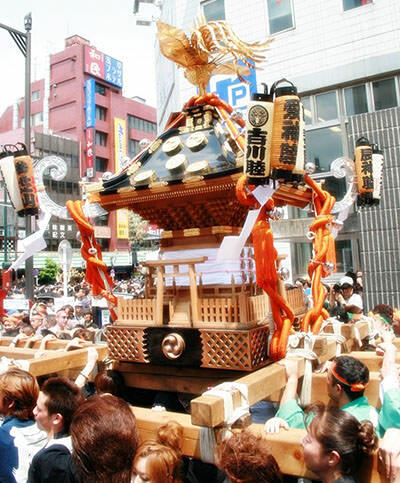 At the day, people wearing happi are carrying a mikoshi (golden portable shrine), calling out clamorously. 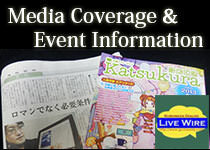 To sum up, they want to make a fuss in order to alleviate their everyday stress. 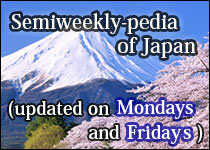 In this respect, a matsuri is closer to a carnival than a festival.